For such a flexible webpart, FilterPoint makes it quick, easy and intuitive to set up multiple filters, for your lists and web parts. Configuration takes a matter of minutes, the web part defaults to the most commonly used options, and links to the manual offer all the guidance you need. 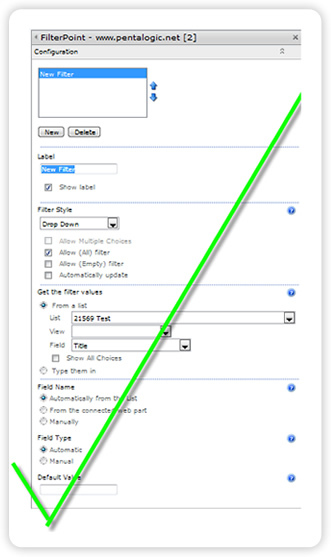 Add just one FilterPoint Web Part to create multiple filters. 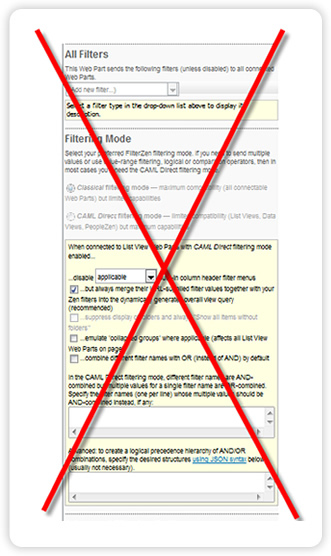 Use a range of different Filter Styles together, for one FilterPoint Web Part. Use one FilterPoint Web Part to filter multiple lists and Web Parts. Let intelligent defaults take the hard work out of set up. No fiddly URL's and code to input.